The 14th edition of the New Art Dealers Alliance (NADA) Miami Beach fair opens tomorrow, with exhibitors from 36 cities from 17 different countries assembling at the Deauville Beach Resort located at 6701 Collins Ave. This edition includes 43 first time exhibitors to the fair, and 29 independent spaces or emerging galleries showing small-scale, special projects. Some highlights include Gallery Valentin of Montreal who are bringing two new sculptural works by George Henry Longly; several of Jean-Baptiste Bernadet’s signature abstract canvases in oil and enamel; and pieces by Stephen Felton and Bradford Kessler. Düsseldorf’s Linn Lühn Gallery presents two- and three-dimensional works by Sarah Braman, Dike Blair, and Christoph Schellberg, which have never before been shown together. The booth will also include work by William S. Copley, and a group of early 1970’s drawings by H.C. Westermann, directly from the artist’s estate and exhibited here for the first time in the US. 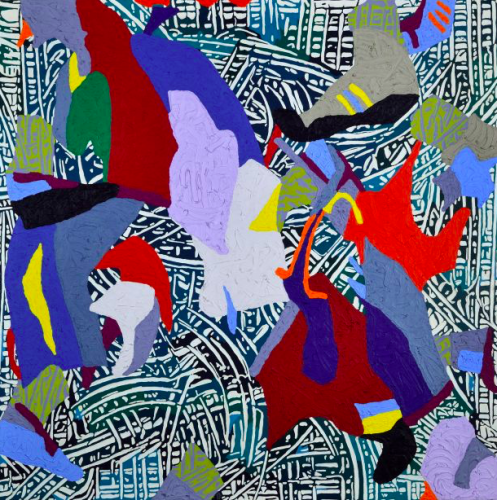 From New York, Geary Contemporary will dedicate their space to Milwaukee-based Alexander Herzog’s brightly patterned series of "Graft" paintings. Marlborough Chelsea have a group presentation of geometric sculptural and painted abstractions by Mark Hagen, Yoshiaki Mochizuki, and Davina Semo. Queer Thoughts Gallery and What Pipeline (of Detroit) collaborated on a booth that includes a contribution from Puppies Puppies, which, if his outings at NADA New York 2015 or the Material Art Fair are any indication, will be sure to steal the spotlight. Nicelle Beauchene brings the pared down, graphic paintings of Alice Tippit. From the West Coast, Five Car Garage of Santa Monica will show Max Maslansky’s painted figures, and Capital San Francisco will be showing small paintings by Rainen Knecht and Todd Bura, as well as a sculptural work by Stephen Lichty. All this and more is on view through December 4.